Angry local people brought the bodies of at least six women and children, some of them badly disfigured, to the provincial capital Lashkargar. A Nato airstrike in Helmand this afternoon may have killed as many as 18 women and children, according to local officials in the province. 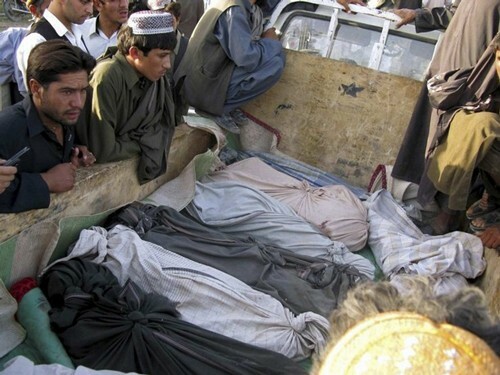 Angry local people brought the bodies of at least six women and children, some of them badly disfigured, to the provincial capital Lashkargar and placed the bodies outside the house of the provincial governor, according to witnesses who spoke to The Times in Lashkargar. 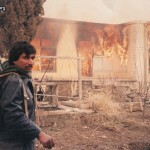 There were protests in the city during the afternoon by crowds condemning British forces and the Afghan Government. A spokesman for the British forces, Lieutenant-Colonel Woody Page, confirmed that Nato forces were deployed in an operation in Nad Ali, close to Lashkargar, today and that an airstrike took place at 12.40pm. “We are unable to confirm whether there were any civilian casualties,” he said. An investigation into the incident was under way. A spokesman for the Helmand Governor told The Times that the state of the bodies did not prove whether they had died as a result of an airstrike and he suggested that they might have died when a house accidentally collapsed. A BBC reporter in Lashkar Gah said he saw the bodies - three women and the rest children ranging in age from six months to 15. 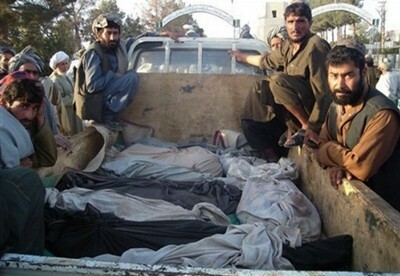 The families brought the bodies from their village in the Nad Ali district. The Provincial Police Chief, Assadullah Sherzad, told the Associated Press that he believed an airstrike had killed several women and children in the area. He was not able to name a figure for the dead. Civilian casualties in airstrikes have been a source of repeated friction between the Karzai Government and its Western backers and have sparked violent anti-Western protests in the past. 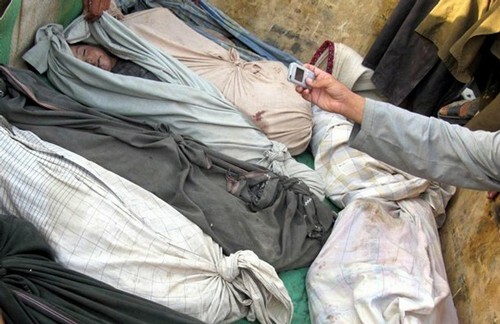 In the most recent such incident, separate investigations by the Afghan Government, the Afghan Independent Human Rights Commission and the United Nations all concluded that more than 90 civilians died when US Special Forces raided a village in the western province of Herat on August 22. US forces initially reported five civilian deaths, a figure amended to 33 deaths after mobile phone camera footage of the aftermath showing rows of dead including many women and children came to light. The Pentagon allowed a private firm providing food and water to U.S. troops in Afghanistan to overbill taxpayers $757 million and awarded the company no-bid contract extensions worth more than $4 billion over three years, according to the Pentagons chief internal watchdog and congressional investigators.